Today's applications are becoming more human by sensing and responding to changing conditions. Applications can adapt to user profiles through personalization, visually sense and respond to surroundings with image recognition, or recommend a next action or product based on prior behavior. New AI applications must adapt faster by leveraging advanced data processing techniques that can learn and respond in real-time. This webcast discusses new advances in data processing, including scalable SQL and real-time data pipelines, and their impact on machine learning powered applications. We'll explore how to close the gap between offline-based data science and the live systems that support 24/7 operations. We'll also describe the latest in real-time application architectures including high performing Lambda, data lake, and cloud object store environments. We'll include a live demo of a machine learning application using distributed SQL that bridges the gap between data science and adaptable applications. 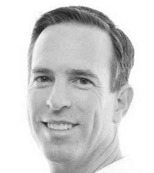 Mike Boyarski is a Sr. Director at MemSQL. His experience spans enterprise data solutions, including analytics and database software platforms. He is a veteran of the data and analytics space, having worked at Oracle and Tibco before joining MemSQL.